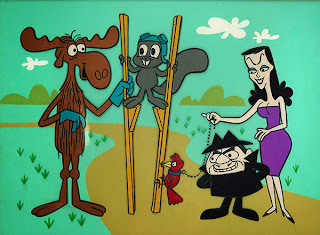 By now, I'm sure most have heard of the passing of Jane Kean, best known for playing Trixie against Art Carney's Ed Norton, on the 1960s version of The Honeymooners. 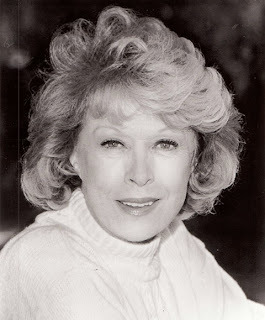 Here at this blog, we know her as the singing voice of Belle, Ebenezer Scrooge's fiance in Mr. Magoo's Christmas Carol. She also had a very diverse and accomplished career in live theater and Broadway, which led to her casting in Christmas Carol. She published her memoirs about 10 years ago in a slim book titled A Funny Thing Happened on the Way to the Honeymooners, I Had a Life! in which she recounted her career in show business along with her romantic dalliances with some of the big names of her era. I had the pleasure of interviewing her for my book as well as sitting with her on panels and signings as we promoted Mr. Magoo's Christmas Carol, The Making of the First Animated Christmas Special. The times I spent with her were brief but she was always very classy, engaged and willing to help promote the book. May she rest in peace. 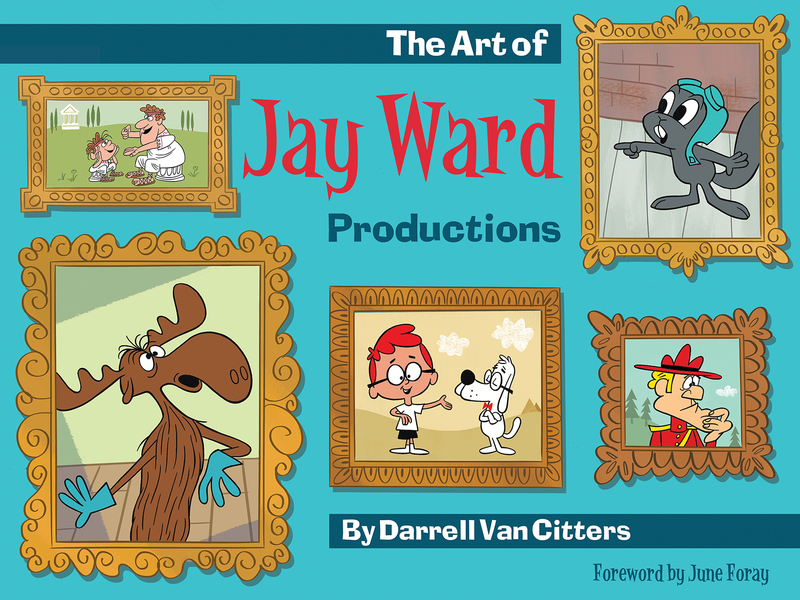 At long last, The Art of Jay Ward Productions is here! 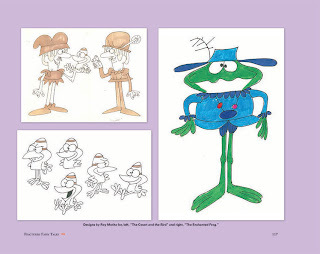 The book is jammed with art and photos, 980 to be exact, and fills 352 pages. It's also heavy, weighing in at over 4 lbs! 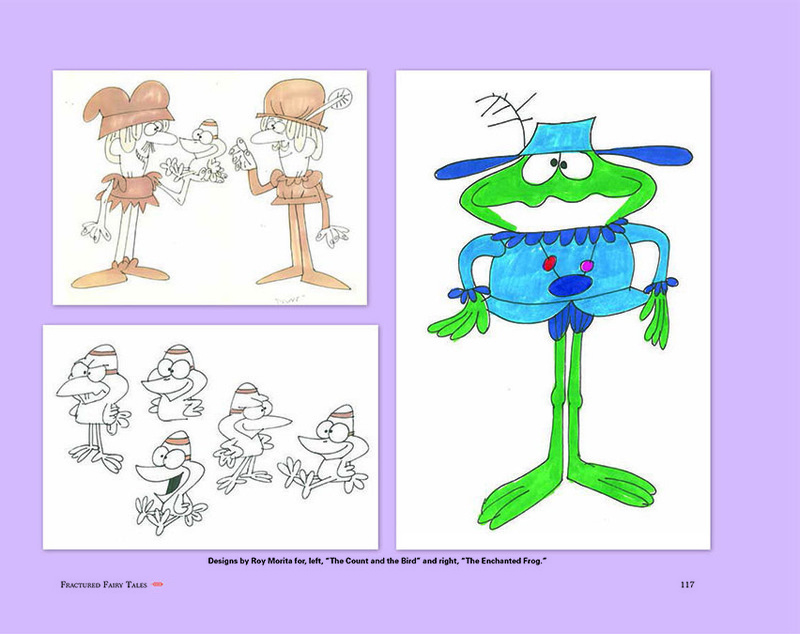 Some images from inside the book can be seen at the visual essay I composed for Cartoon Brew, check it out here. You can order it at www.artofjayward.com. 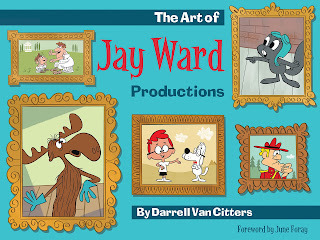 Here's a peek at my forthcoming book, The Art of Jay Ward Productions. 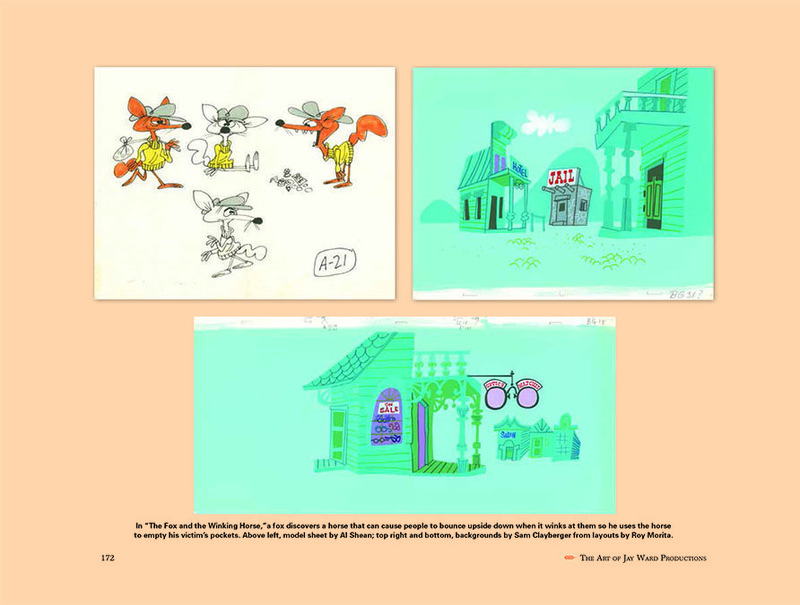 The book came in at 352 pages, 980 images, 12 x 9", hardcover with dust jacket, and will make its debut at CTN-X, November 15, 2013 in Burbank, beginning with a Q & A with two of the surviving artists, followed by a book signing. Retail price is $49.95. The book is arranged chronologically and each show has its own chapter. 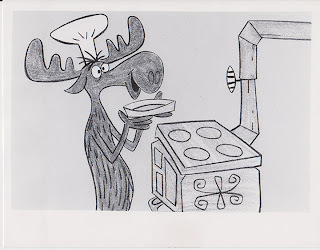 It starts with a brief, early history of the Ward studio, a chapter profiling all the key artists and then the individual shows take over the book: Rocky and Bullwinkle, Fractured Fairy Tales, Peabody and Sherman, Aesop & Son, Dudley Do-right, Fractured Flickers/The Nut House, Hoppity Hooper, Commercials (including both General Mills and Quaker Oats), George of the Jungle, Super Chicken and Tom Slick. The final chapter profiles many of the unsold series that Jay Ward Productions developed and pitched. 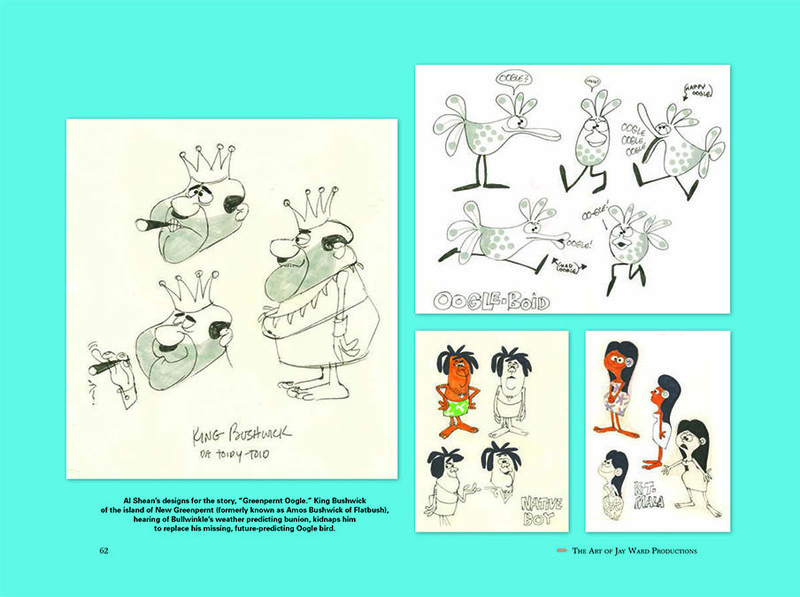 Within each chapter, there are myriad, never-before-seen concept sketches, model sheets, storyboards, backgrounds and even a few cels. I'll be taking pre-orders in October and will announce it here and on other animation blogs, like Animation Scoop and Cartoon Brew. Stay tuned to this blog for more updates. 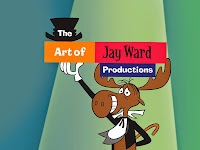 I thought I would provide just a little update on my next book, "The Art of Jay Ward Productions" for the few followers of this blog. 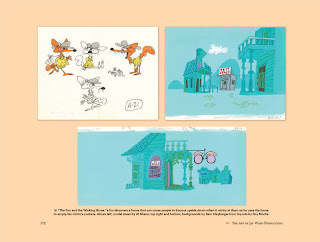 The book covers the years from 1958 through 1984, and will include pages of artwork from virtually every show the studio produced as well as lots of never-before-seen art from unsold series. 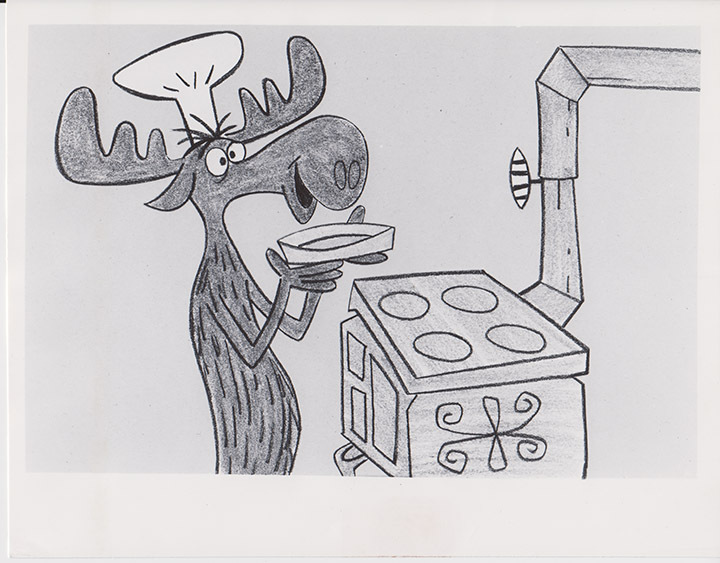 I'm even hopeful that the cereal companies will grant permission to use images from many of the commercials Ward produced for them over the years, but it's been a slow process so far. 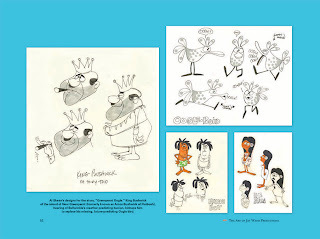 The book's scheduled release has been pushed back from October 2013 to February 2014 in order to coincide with the release of the Dreamworks feature, Mr. Peabody and Sherman. While it provides me with a little more breathing room, there is still much to be done. 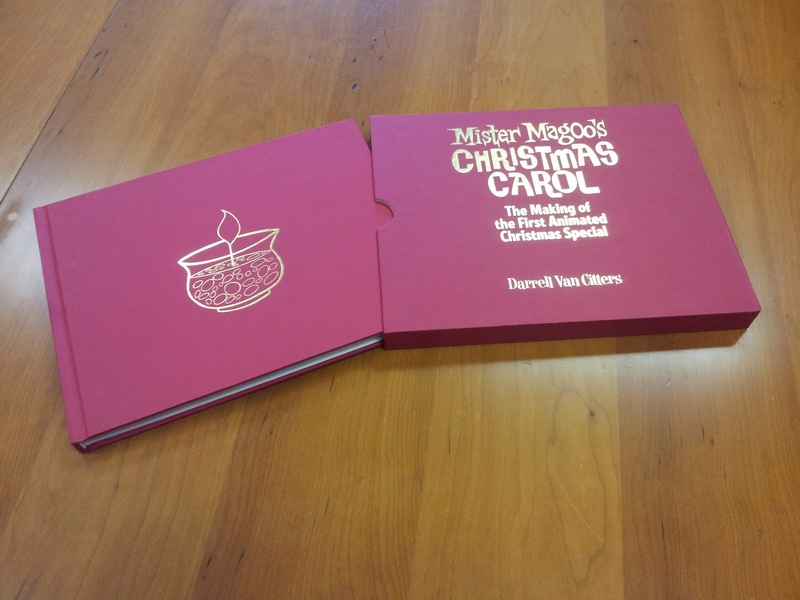 At this point, I anticipate the book having more pages and artwork than even the limited edition of Mr. Magoo's Christmas Carol.